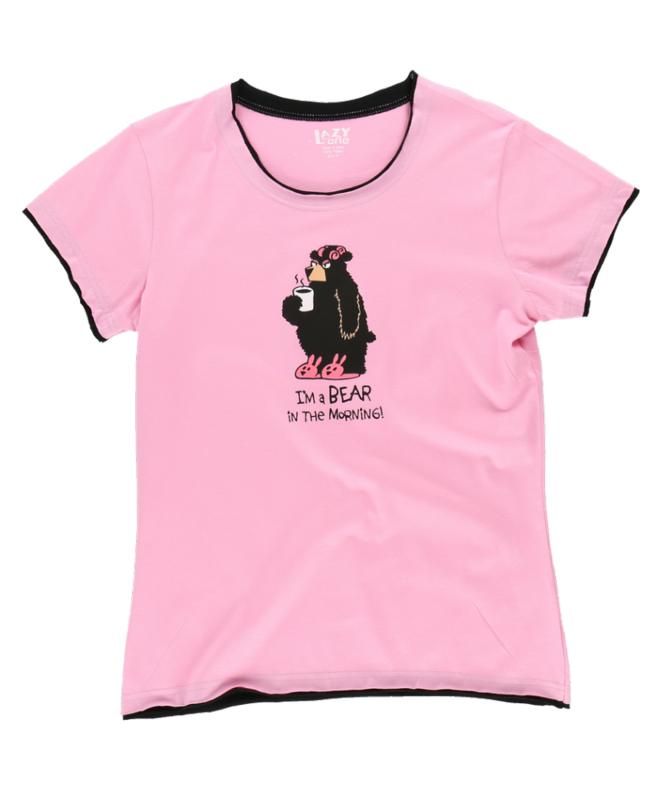 Bear in the Morning is a cute design from Lazy One®. A cranky bear in curlers and slippers is drinking her morning brew. 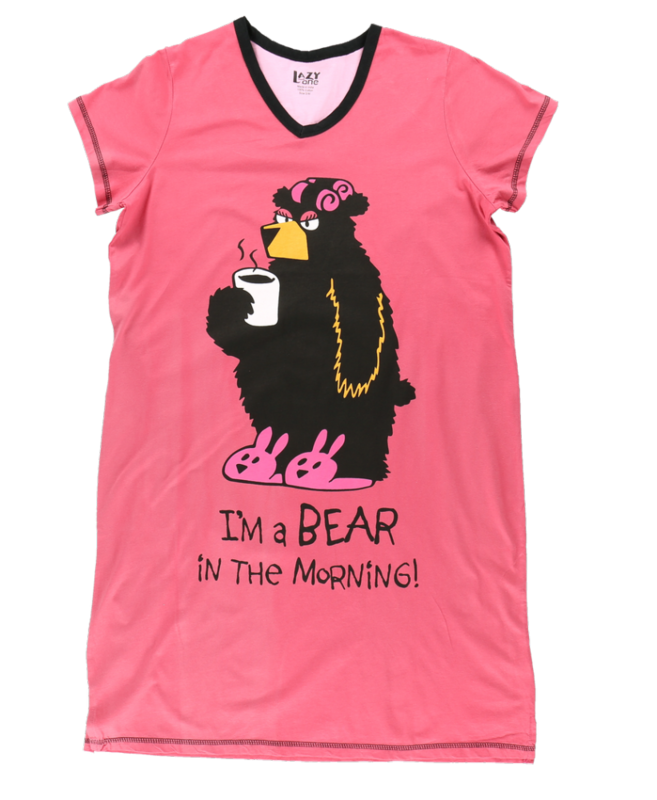 The captaion reads "I'm a Bear In the Morning". If you too are not a morning person, you'll at least be comfy wearing this ladies fitted pyjama (pajama) tee. 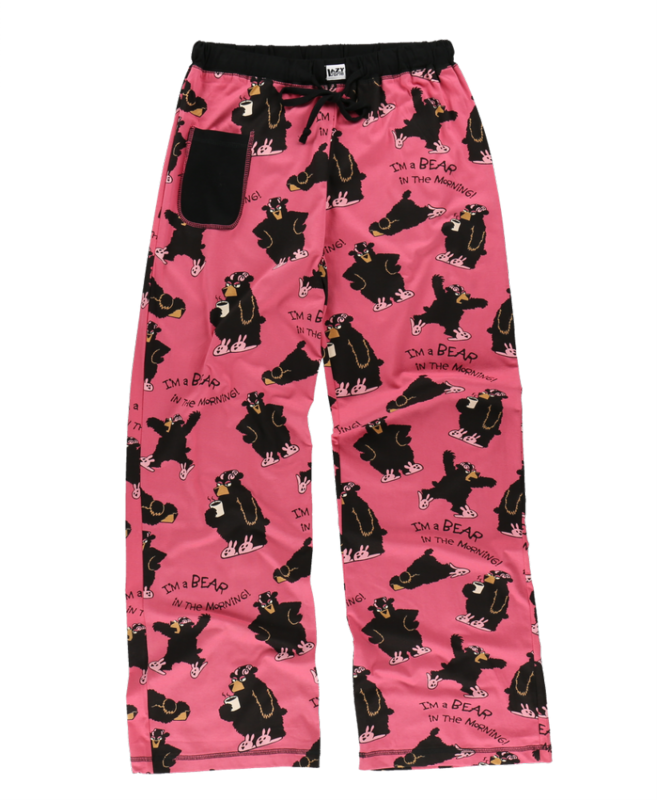 The bear design makes it a great match to wear with our women's boxer shorts or pj bottoms (sold separately). Raw-edge trim for maximum comfort.